Received with a mixed response, the long and greatly overdue decision of complete departure of US forces from Syria and Afghanistan has excavated some uncomfortable truths. Ever since the US president has announced an exit from these war-webs, the pro-military media of US has started bombarding a common man with articles and reports from worthy war-journals telling us how this decision will engulf peace from this already not-so-very-peaceful world. But I say, let’s face it. Let’s not kid ourselves. The American presence in both the countries “will not” and “cannot” help change the situation at the ground. Whether its ISIS or Taliban, you cannot control them with the presence of a paltry number of American troops around. The same will continue to loaf in Syria and Afghanistan for some more time, where this NATO and ISAF check might not limit but encourage the group’s nefarious undertakings in the name of foreign boots on grounds. Indeed, ending this quagmire is not simple. To leave? Or to stay? Or when to leave? And why to stay? All these decisions must be made in support of well-crafted exit policy. Interestingly, a US think tank dealing with defence and security issues, in their recent report, warns the US leadership that exit from Afghanistan will pull entire region into Afghan conflict. RAND, in the latest report on Afghanistan titled “Consequences of a Precipitous US Withdrawal from Afghanistan”, warns president Trump not to decide exit of the US Forces from Afghanistan in haste. An early withdrawal, the report argues, will cause the insurgents to lose interest in negotiating peace with the United States. The report also causes the speculations of chaos in the region where regional players will likely exert pressure in support of respective groups. The subsequent consequences call for an overly sensitive debate. Although US’s longest war in the history has remained highly unpopular in the masses since its beginning yet Afghanistan is not so easily dismissed. As a matter of fact, a vast majority of Americans do not actually know what is going on in Afghanistan today. They are fed by articles and reports meant to show the side that actually suits the underwriters. The headlines and opinion sections of big news giants may carry reports on air quality or on an anti-corruption campaign in Kabul disregarding the actual conditions of the combat raging in and around Kabul because reporting in the war areas is simply not possible in such mounting war conditions. While hawks in the US military along with their supporting politicos in the Afghan government have been grumbling on Trump’s war-exit policy, their reasons for this holler are somewhat different from what is reported by the media. 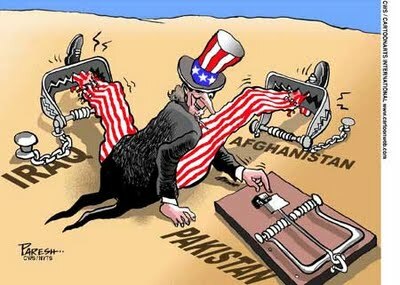 While the Afghan puppet government don’t want to let go on power and money gains of this war, the US military wing views Afghanistan, acknowledged by few intellects, as one pillar in a broader regional web of US surveillance over the whole of the greater Middle East. Geopolitically, Afghanistan is located conveniently close to “the soft underbelly” of Russia and China, and also Iran. That’s why they would want selective intelligence and military capabilities in South Asia for many years to come. Robert D. Kaplan rightly says that no other country in the world symbolizes the decline of the American empire as much as Afghanistan. There is virtually no possibility of a military victory over the Taliban and little chance of leaving behind a self-sustaining democracy — facts that Washington’s policy community has mostly been unable to accept. But it seems president trump had anticipated this well, hence entered the office with the promise to end this fruitless US venture where his security establishment has been opposing his exit strategy since onset. However, President Trump’s new approach of reaching out to the Taliban carries a lot of sense for the people of the affected region as well as for the entire world. Most importantly for masses of Afghanistan and Pakistan, worst affected by the war. The truth is that no US strategy in Afghanistan has worked this far. Reports suggest that in recent years the ISIS-Khorasan has probably become the strongest and largest ISIS affiliate outside Syria and Iraq. 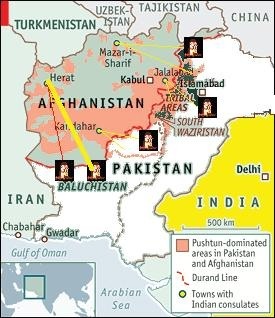 Apparently, it has set up shop in the mountain ranges of Afghanistan bordering Pakistan which means that the heat of US-ISIS fiasco might have to be tolerated by Pakistan as well, willingly or unwillingly. Reworking the exit policy the US has sought Pakistan’s help in facilitating the peace talks with the Taliban where the latter has offered its unstinting support and help. The process has gone well so far with minor hiccups. What we need to understand is that the Taliban, who control more than half of Afghanistan are actually in the dialogue from a position of strength. And only a better understanding in between the US and Taliban (backed by the regional players) can help bring stability in the region. Meanwhile, gradually declining in size, the US should continue with its financial support and engagement to help the war-ravaged economy of Afghanistan for some more time. While the Afghans should sustain the patient hope that their country will stabilize and strengthen over time.